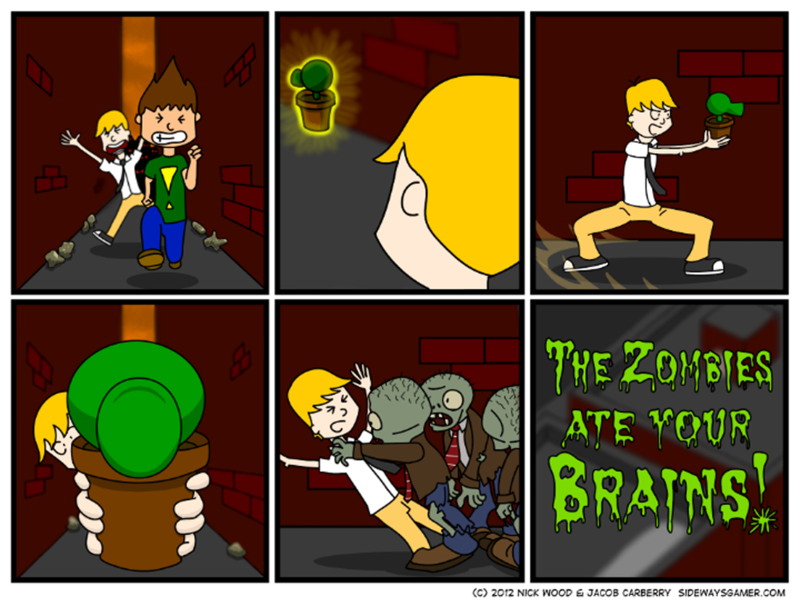 It has probably been a while since you’ve seen a Plants vs. Zombies reference. I absolutely love this joke though. This comic has so much depth to it. All three of those sentences were three separate thoughts that had not much to do with each other… Where does it end? !